I think this was taken before the OLC was formed. 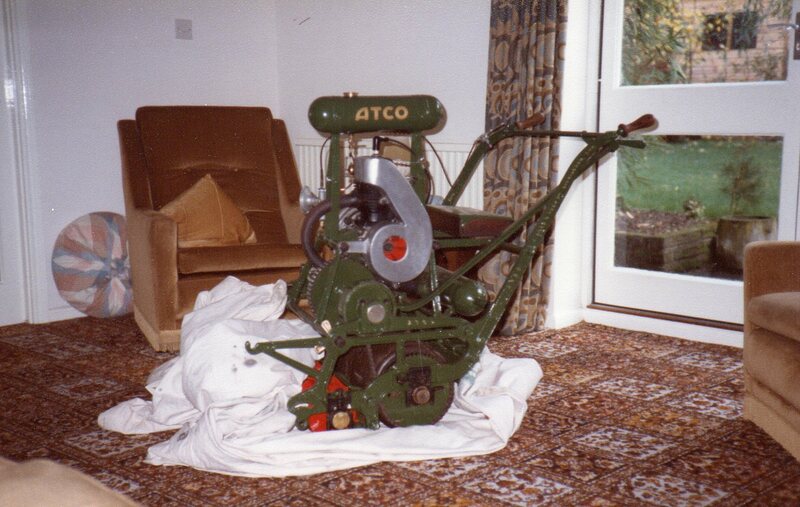 I once restored a 30-inch ATCO and after a boozy afternoon we decided to trim the lounge carpet! Actually, I had just finished the restoration, but owing to the narrow passage ways on each side of our house, the only way to move it from the back garden to the front was through the lounge and out the front door. A few years later It finally ended up in Andrew Hall's collection when we moved house.